Label & Tape Dispensers There are 4 products. If you can't find the dispenser you need here, you won't find it anywhere! 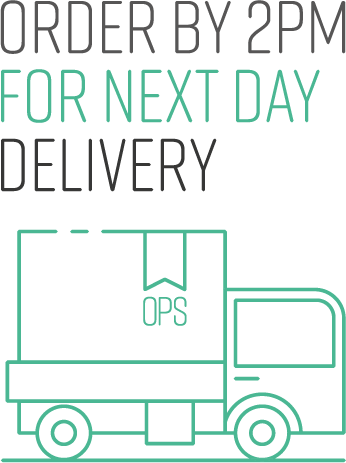 For a more efficient packing operation, a parcel tape gun or packing tape dispenser will increase your productivity, smarten up your packaging and in some cases even save you money! 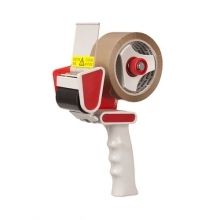 No matter what kind of tape gun best suits your business, we can help - from an economic pistol grip tape dispenser for reliable everyday packing to an extra heavy duty tape dispenser for the most demanding environment, or even an automatic tape dispenser to provide just the amount of tape you need, cutting waste and saving you money. 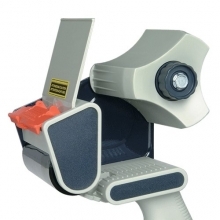 You'll also find bench top tape dispensers and label dispensers as well as a hand held parcel tape dispenser for every conceivable requirement. 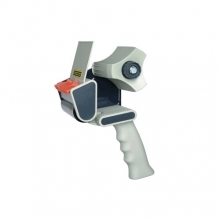 50mm Standard tape guns only take a couple of minutes to master but once you do, you will be glad you have one! 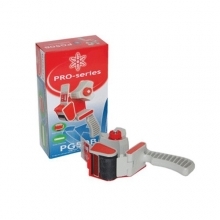 Take our word for it, tape guns make sealing cartons a breeze. Read the full product description. The easy way to seal the neck of polythene bags using coloured vinyl tape. Read the full product description. 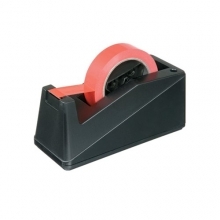 Pro Series B2 25mm desktop tape dispenser is Ideal for home or office. 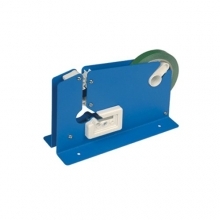 This heavy duty tape dispenser is ideal for tapes up to 25mm on 25mm or 75mm cores. Includes its own cutter for easy of use. No more having to use your teeth or find a pair of scissors! Read the full product description. 75mm Tape Guns only take a couple of minutes to master but once you do, you will be glad you have one! Take our word for it, tape guns make sealing cartons a breeze. Read the full product description.